I’m Andy Starkey, growing up with a surname like mine I guess I was always destined to be a musician so I created the Andy Starkey acoustic solo package. 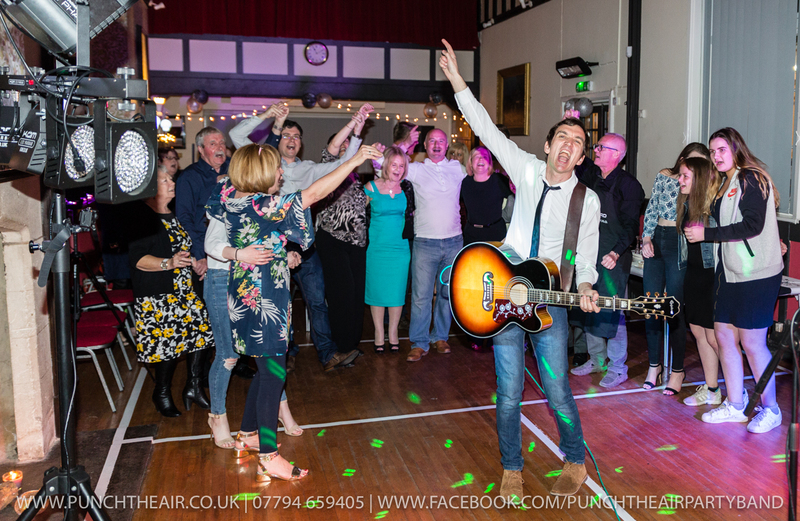 As you can tell I’m an acoustic guitarist/vocalist who can provide you with a fantastic mix of new and old pop tunes for any occasion where my full band ‘Punch The Air’ isn’t required…..But you can also book me in addition to the full band too if you like. What can you hire me for? 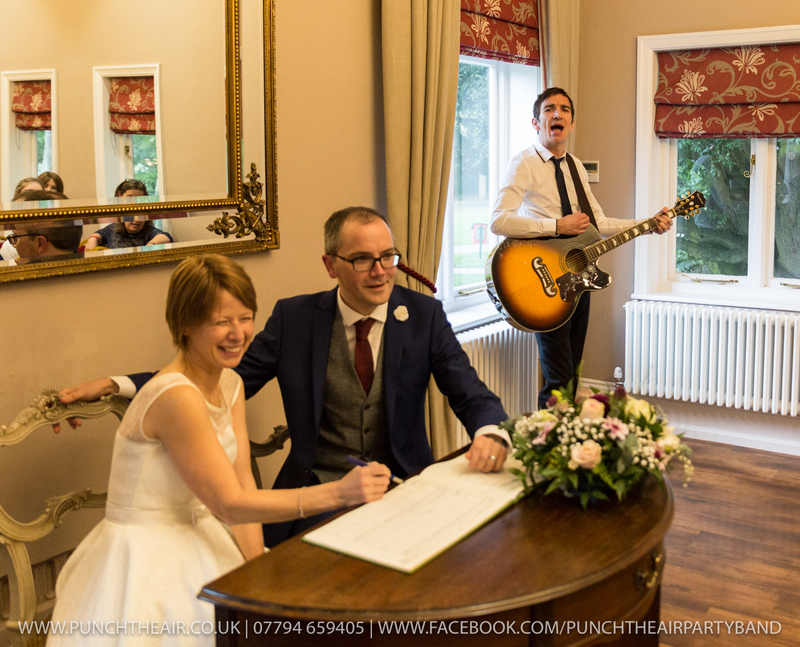 Maybe your looking for acoustic solo live music to be performed while you’re walking down the aisle, signing the marriage register, civil partnership document or at your drinks reception just shortly after? If so your friends, family and guests can chill out to my great mix of pop music while sipping their prosecco. You can also book me at the same time as my full electric band ‘Punch The Air’. If so I can offer you a reduced rate if you require me to perform solo in the day first then with the full band later on. 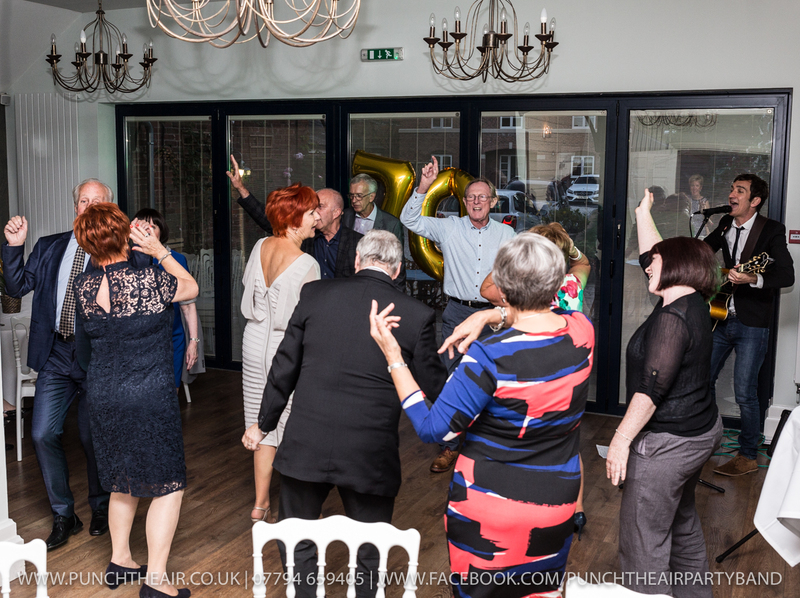 I regularly also perform at birthday parties and corporate events and even do the odd public performance at nice bars and restaurants. If I have any upcoming public dates they will be listed further down the page so you can come and see what I’m all about before booking me if this website isn’t convincing you enough already. 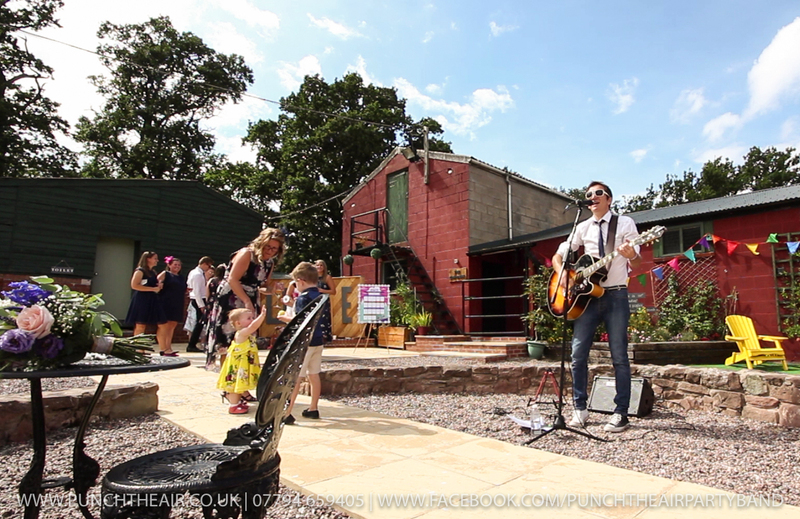 I’ve been a professional musician for many years and have helped to make many parties all the more memorable with my light hearted acoustic tunes that all ages can enjoy. One of the highlights of my career was performing at The Cavern in Liverpool home of The Beatles a few years back. 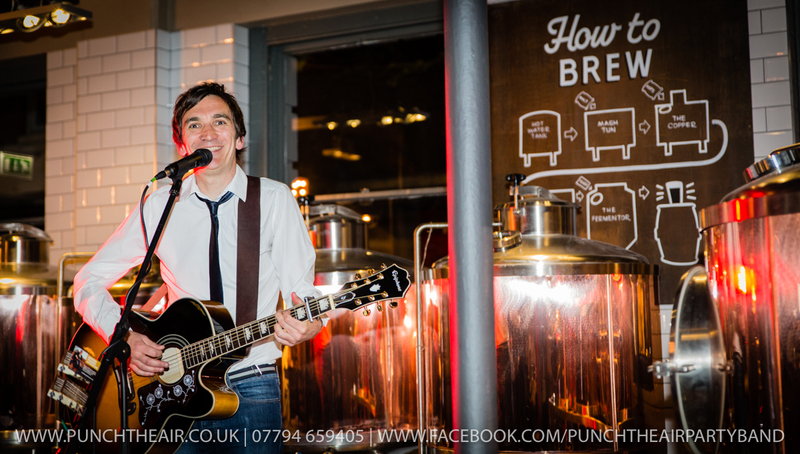 I play a fantastic mix of acoustic pop music starting all the way back in the 1950s (Elvis) into the 60s (Beatles), through the 70s (The Undertones), into the 80s (Rick Astley), through the 90s (Oasis) and also perform up to date current material by George Ezra, The Killers, Amy Winehouse and Kings Of Leon. If the weathers nice enough I can perform outside with my state of the art battery powered guitar amplifier. Its so portable that I can pretty much play anywhere…I’ve even performed up a tree at a previous wedding. What areas do I perform in? I travel up and down the country performing everywhere in the UK so you can book me for any type of event anywhere. All quotes I provide you with will always include all fees for travel. Overnight accommodation costs may also be taken into consideration for evening performances if your event is over 2 hours away from Lichfield, Staffordshire. As well as the above promo video I was also featured heavily in the bar’s actual promotional video. All the acoustic audio was performed live, which I recorded, mixed at home myself and then sent to the production company for use in this video. As you’ll see it turned out really great. When am I performing public solo acoustic next? I’m really into proving to you what I can do live as opposed to in the studio. So I have a lot of quality live videos available (There’s two on this page). You can find a lot more of my videos on the bands Facebook page here. When and how long do I perform? You can book me for any amount of time, any time of the day or night but prices will vary due to this. Please specify in the contact form below your requirements so I can quote you an exact price when I get back to you. I’ve even recently started to produce my own fun videos of theme tunes from past and present. Everything is set up and recorded entirely on my own as a one man production company and is 100% completely live. Below you will see a video of my performing the 90s hit show Baywatch theme tune. Are you having problems with the above form? 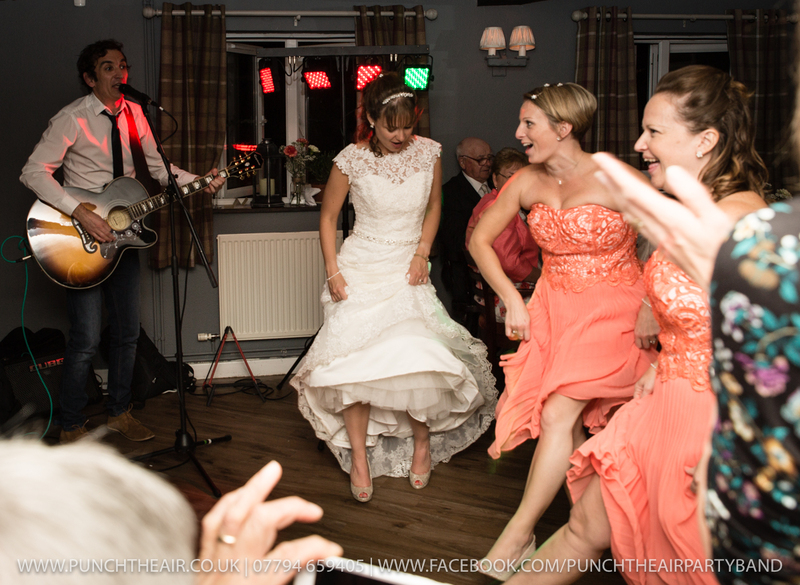 If so you can email me for a quote at punchtheairband@gmail.com or call me on UK 07794 659405. You can also contact me through the bands Facebook page here. Andy Starkey Acoustic Solo – Book me separately or with the full electric band.